Stonewood Painting & Decorating is located in Sebastopol, CA and specializes in high-end residential and commercial properties. Over the past twenty-five years, the company has established a reputation for providing superior craftsmanship on projects big and small, whether interior or exterior. Oliver Morbitz, founder, owner and Master Painter, has enjoyed working with his hands since he was twelve years old, in his hometown, Dusseldorf, Germany. During his high school years, Oliver began working on construction sites and kick started his professional painting career. After graduating high school, Oliver entered a four-year apprenticeship program to become a Master Painter. After assuming this title, Oliver moved to California and soon after established Stonewood Painting & Decorating. Stonewood Painting proprietor Oliver Morbitz meets with every client to discuss the unique aspects and expectations of their project. Alongside our clients, we walk through the job site and assess all areas of issue. As always, Stonewood’s first priority is to educate the customer. 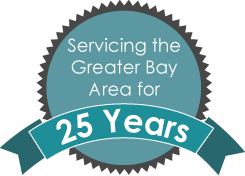 Whether the issues are a result of mildew, peeling, dry rot, poor paint adhesion or any other issue that could be a contributing factor, we will pinpoint all areas of concern and provide detailed suggestions on how to overcome them. Each project Stonewood takes on, we arrive with a professional and dedicated team, which has been working together for many years. Oliver hand-selected and personally trained his crew to meet his high standards of superior craftsmanship. Douglas, Oliver’s foreman, has been working alongside Oliver since 2003 and oversees the progress of all projects. The professionals at Stonewood only use environmentally safe cleaning solutions in all preparation work and are well experienced painting with environmentally safe paints as well. Oliver ensures that your job site will be protected as to maintain the appearance of your landscape or the interior of your home or building. Oliver and his team of professionals will spend a significant amount of time at each job to ensure a superior finish and, of course, complete customer satisfaction. At Stonewood Painting and Decorating, our focus is on getting your job done right, as we believe, superior craftsmanship and attention to detail make the difference! 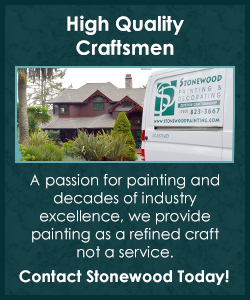 Contact Stonewood Painting & Decorating today to complete your next painting project!